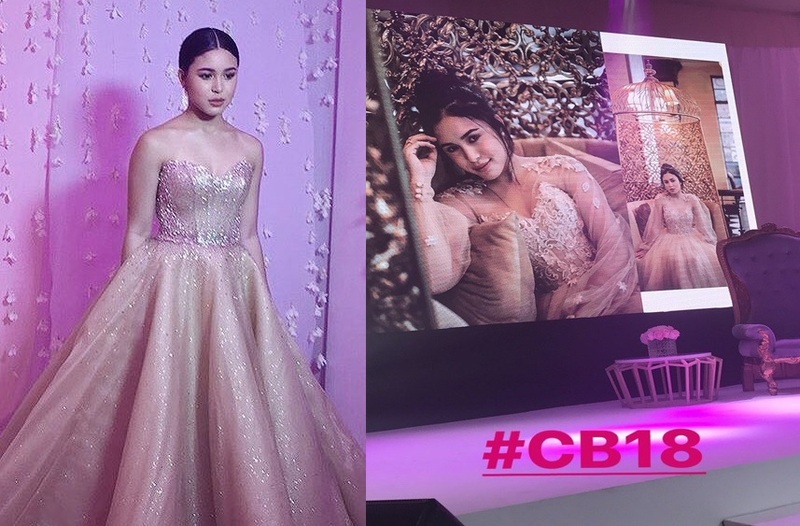 Claudia, the youngest daughter of Marjorie Barretto, celebrated her 18th birthday party at White Space Manila in Makati City last night, August 5. The budding singer was looking stunning in her crystal-embellished gown designed by Mark Bumgarner. The event was attended by her family and closest friends including celebrity children Juliana Gomez and Leila Alcasid. Also present were celebrities such as Erich Gonzales, Joshua Garcia, Bela Padilla, Yassi Pressman and Donny Pangilinan.